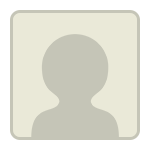 I am Aalekh and I would like to have my profile evaluated for ISB intake of 2020. I'll be writing my GMAT in June, 2019. - I was responsible for driving new products and projects from concept to implementation, serving as a liaison between senior management, IT team and business stakeholders. - I was the brain behind an internal product of the company (perfectlineup) that saved over a million dollars to the company till date. I actually wrote down the website content and algorithm for the same. It was fun. - I have managed the completion of over 10 software development projects and worked on the internal product of the company at the same time in order to push the latest updates in all the projects that we made. - It was during my graduation. C-cube is a campus company inside the college premises, acting as a one stop quality chain store and a cafe bestowing students stationary requirements and food. - We managed around $30,000 then and break-evened in the 8th month of operations. Kudos to my team! (iii) Active President and Manager of Royal Vikings Football Club (R.V.F.C) registered in District Football Association, Indore, Mahdya Pradesh. (iii) Ideated, executed and marketed an android application, which we developed as a college major project. It had 15,000+ downloads on google play store and 150+ 5 star ratings. (v) Semi-Finalist of National level football tournament held at BITS Pilani, Goa. I have mentioned above the most important achievements of mine. Apart from these, there are many other co-curricular activities wherein, I have worked as an E-cell leader, organizing various events during my college days. I have worked with Young Indians (Yi - Indore Chapter) and participated in many awareness programs and college fests, specially dance and football. I can get 2 LOR's from my employer. Not to forget, one of the MAJOR factor for my profile still remains folded. THE GMAT! Let's see what happens. Now, I request you to shoot your kind advises for me. I would really appreciate if you can guide me through this. Thanks in advance. P.S - I'll be targeting US B-schools as well. you have good work experience and have achieved quite a bit so far. Secondly, your extracurricular experiences are good, but they should show depth not just breadth. From now until the application cycle starts, I' ask you to focus on a few stronger activities and build more intense experience there rather than doing newer things. Its helpful to bell the GMAT early. All the best for this missing piece of the puzzle. A 740+ score will help overcome the negative impact of a low GPA. You seem to have a solid profile. All the aspects of your application appear to be well balanced and anything above 700 will make your ISB journey easy. A score of 730 and above will put you at a very advantageous position for colleges like MIT, Yale, Wharton. However, you must also aim to strengthen your community work aspect of the application. Thanks for a prompt response and your kind words. I hope you are doing well. I actually want to start my own business and I have been working on an idea since past 2 years. I think I would need an MBA for the same because it will teach me how to turn my idea into a good business without the stress of the real world. I consider "experiences" and "learning" as one of the key factors in success and thus an MBA program would teach me the tricks and trades of doing business and the process of entrepreneurship, while I can test things and discuss them with industry experts. I am working in IT industry right now, and my idea is into F&B, and we know they are completely different, so that won't be a problem to convince the adcoms right? In why MBA kind of questions? Sure, I'll focus on the depth of things now instead of spreading my arms into different things. Thanks for this beautiful piece of advice. Thanks for your response, mate. I appreciate the same. I'll focus to get more community work so as to strengthen my application. Though, I did not mention the same in my first post because I thought I had written a lot for my profile evaluation. I have been an active member of Art Of Living since 2011 ( please google the same, if you aren't sure what it is) and I have worked with many NGOs to get things straight for those beautiful people out there. I have worked for them in slums, did some teaching/mentoring to poor people living in my area and once we donated over 1500 first-aid kits and 500 white boards as volunteer work during my college days. I'll try to get more such works. aalekhoza That's great if you have worked with these NGOs but make sure to provide your exposure at the leadership roles in these organisation. If you look at the profiles of MBA applicants to the top B schools, you will find a comprehensive community work not only as a volunteer but also at different leadership roles. You should avoid emphasising on participatory activities much. It is however good to use such participation to emphasise on your behavioural qualities in the essays! My team of consultants at MBA Decoder always discourages applicants from writing entrepreneurship as a short term career goal. If you have a business idea (since two long years- it could also be obsolete by now) you should convert it to business reality. Moreover, a business school is not the reason to wait to launch it. The best way to learn is getting your hands dirty. You'll be a much stronger MBA candidate if you have already launched and become successful/ or failed - either way you will have a steep learning curve and would also know what your key learning areas are going to be at B-school. And you would have the experience to teach others a thing or two. The way I see this working for you is talking about some learnings/ some failures at your current jobs since it seems to be an entrepreneurial role. Regarding your aspirations in F&B sector - if its only on paper, then I would not be convinced by it. Goals essay is important. Tread this one carefully. Thank you Namita for your prompt reply. Yes I agree strategy consulting will be really difficult to move into. I would like to take up Management consultancy for IT companies and also focused on Product Management. I really need to work harder on my application for top B schools. Your advice and suggestions are most welcome. Thanks for the reality check, Namita! The idea, which I was speaking about, is a 2.0 version of the startup that I had during my college days. I actually upgraded the same with finer details and I was waiting for the perfect time to launch the same. Right now, it wasn't the perfect time to market the product because as of now it's industry is new and we are doing R&D on the demand. Once created, we'll shoot. I'll surely consider all your points in my applications and will give a second thought for writing entrepreneurship as a short term career goal. I really appreciate your help and your kind advises. Thanks, again. You have a fairly good profile and don't worry about dropping out of the M.S. I have known a friend who dropped out of a post graduation in Science and was able to get admitted to an elite MBA school! I would highly recommend you get in touch with guys at http://www.frensultant.com. I have really found their guidance appropriate and the most interesting part is that they never talk about money, unlike other MBA consultants! That's quite some information about a specific elective. Thank you so much. I'll check all the pages now. It really is very informative. Indian and complete education in India only. Experience: 4.5 years completed on March. My client is an Investment Bank and my work, other than technical pieces of stuff, is to have daily calls with client, provide them updates, manage people coming in my work timings(shift lead) and look for providing clients what they are seeking. Please help me evaluate my profile considering I am aiming for IIMs, ISB and top B schools over the world. Please inform me if any other details are required. - Your educational background (Grade 10,12, and college) are all good. While your performance is not outstanding, there are no red flags here that can create an issue for you. - Professionally, as an IT professional working at TCS, you are part of an over-represented pool of applicants to ISB. Your work with investment banking clients helps, though, and could be a potential point of differentiation. Would want more details on this part - what processes do you work on? Any onsite experience? - Please also provide more details on your community work and also your hobbies. What kind of initiatives have you been part of? What events have you helped organize? Do you have any spikes in extra-curricular activities (sports/music etc)? - Overall, you will have to work hard to differentiate your application to these top schools. 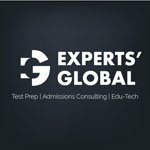 You should aim for a GMAT score of 720+ if possible. Hope this helps. Feel free to come back with more queries as needed. Will look forward to more inputs from your side as highlighted here as well. Originally posted by GyanOne on 15 Apr 2019, 00:38. 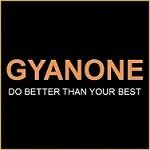 Last edited by GyanOne on 15 Apr 2019, 06:02, edited 1 time in total. Over the last couple of years, we've seen a number of IT applicants make it to ISB, despite the competition. The key here would be to build and showcase differentiation and diversity in your profile. - A GMAT of 700 may not be sufficient. There is still time for the application and we would definitely urge you to give GMAT another shot. - 4.5 years is definitely a sweet spot for ISB. Depth of experience often trumps everything else. Therefore, it will also be important that you highlight your qualities and your work with IB clients through examples and stories. We would like to hear about your goals and extracurriculars in details, as both of these can help you in building a great MBA story. Please feel free to reach out for a detailed discussion. Confused about MBA application strategy? Need help with Essay Review? Need mock interviews? Your academic background, though not stellar, looks alright. At the same time, your client-handling experience will be of value. In terms of your GMAT score, a retake will not do you any harm. Considering you belong to an over-represented pool of applicants applying to ISB, a higher GMAT score will certainly help you differentiate your profile and boost your chances of gaining an admit. Should you feel the need for a free profile evaluation, do reach out to us. This is Neha , nationality Indian, Aiming for 2020 ISB batch . Work exp : Been with the leading Investment Bank for the past 6 years, have experience in managing team of 10. With the projects undertaken have saved few headcount, automated a lot of processes,recognized as the SME in the firm. Extra : have attained Best manager award in college and have organized several other fests. Have several NGO certificates, as been participating in these for ages. I'm yet to take my Gmat ,have just started. Would encourage some honest guidance and review. Thankyou. - Although 68% will be considered low at the Grade 10/12 level, it would be considered average in college. Still, overall, your academic profile is not very strong, and you should bolster it with a strong GMAT of 700+. Last year, someone with a 680 also made it with a similar profile, but let that not be considered the norm. - Investment banking experience is definitely a plus here, and that will give you an advantage. Team leadership helps too. Before you apply, though, make sure that ISB is aligned with your career goals - ISB is not very strong in all investment-related areas, so make sure it can get you where you want to go, else consider other options. - ECA seems ok. No red flags here. - Overall, focus on your GMAT for now and know that if you get a good score, you should have a good chance with a strong, well-researched application. While your academic background is not stellar, the leadership experience, as well as the projects undertaken, will add value to your case. Currently, we strongly recommend that you focus on your GMAT; aim for a score upwards of 720; once the GMAT is out of the way, you can focus on preparing a set of stellar essays that portray a logical set of career goals and represent your skills in an appropriate manner. Feel free to contact us for any further advice.